CAcert is gladly announcing you the next big event with CAcert attendance: August, 24th-25th in Hochschule Bonn-Rhein Sieg in Sankt Augustin, near Bonn/Cologne FrOSCon 8 (Free and Open Source Software Conference) will take place, and CAcert will have a booth there as well. We are please to get in touch with you discussing about CAcert, recent trends and changes and looking forward to seeing you there! This entry was posted in Events, Information and tagged Events, FrOSCon on 2013-08-17 by Alexander Bahlo. 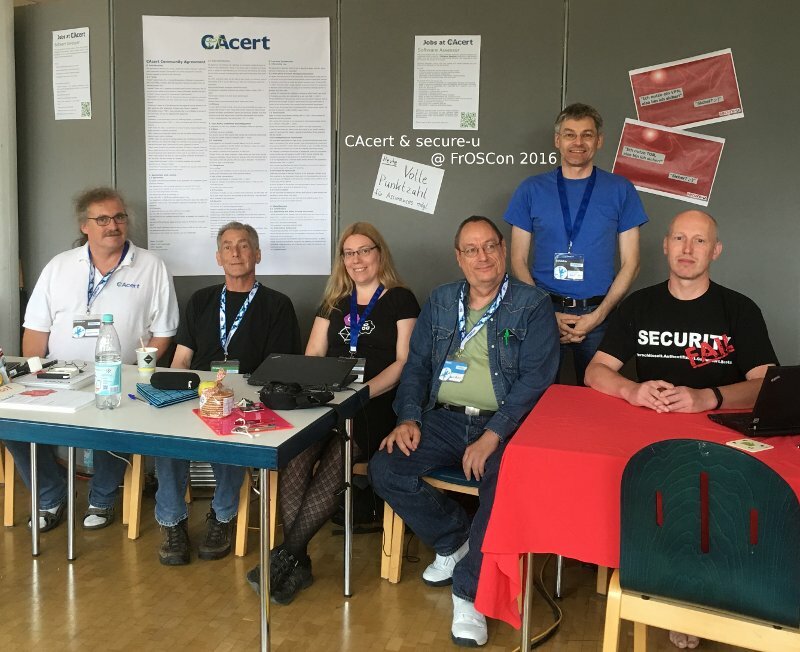 Auch in diesem Jahr wird CAcert wieder auf der FrOSCon am 20. und 21. August in St. Augustin mit einem Stand vertreten sein. Des Weiteren wird es in Zusammenarbeit mit OpenOffice einen Vortrag zum Thema “Signieren von OpenOffice-Dokumenten” geben. CAcert will be present again with a booth on the FrOSCon in St. Augustin 20th/21st August. Further more there will be a speech about “Signing of OpenOffice documents” together with OenOffice. This entry was posted in Events, Information, News and tagged Events, FrOSCon, Germany, Information, St. Augustin on 2011-08-01 by m.maengel.